The first mention of Simon Parratt in the Sutton Coldfield archives is in the record of the Court Leet of September 30th 1579, when the servant of “Simon Perott Esquire” was fined 10d for brawling. At that time the honorific “Esquire” denoted the rank between gentleman and knight, so Parratt was somebody important. He may have been related to Sir John Perrot, Lord Deputy of Ireland at the time and high up in Queen Elizabeth’s court. Simon’s new wife Anne was a relative of Thomas Keen, a descendant of Bishop Vesey’s niece, her dowry being Thomas Keen’s Sutton estate which consisted of the former manor house with its lands. Simon perhaps moved to Sutton on the acquisition of this estate. He was immediately elected to the Warden and Society (the Corporation of Sutton Coldfield), and served as Warden (Mayor) from November 1580 to November 1581. 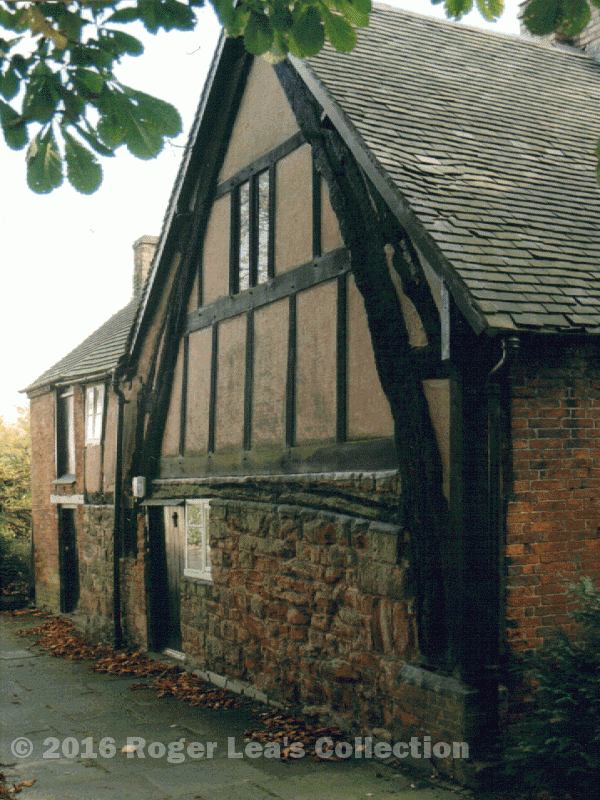 The Parratts probably rented a town house in Sutton as the old manor house was a ruin with maybe a farm worker’s cottage in the grounds, but in March 1581 Simon Parratt leased and then purchased a much grander estate from Walter Harcourt of Tamworth for £640. This property included a number of houses as well as over 100 acres of land, and the Parratts moved in to the principal house, Maney Hall (this stood on the corner of what is now Pilkington Avenue). By 1590 Simon Parratt’s star was in decline - although he was elected Warden again in November 1590, he was now only a gentleman. If Sir John Perrott was his powerful relation, he could no longer offer support, as he was languishing at the Queen’s pleasure in the Tower of London - Simon’s creditors were closing in. In December 1590 he conveyed the Manor property (his wife’s jointure) to trustees to be held for the benefit of Anne, so that her inheritance was safe from his creditors. Then in 1591 all his Sutton property was sold to two London merchants for £500, with the proviso that Parratt would continue to live at Maney Hall and run the estate, paying an annual rent of £30, “payable half-yearly at the telling house on the west part of the Royal Exchange in London”.